﻿When Danny Nee first pulled into the marina, it was love at first sight. Surrounded by three aquatic wildlife and bird sanctuaries, two prestigious yacht clubs, scull & crew training courses, miles of bike paths, and the Bascule drawbridge, what boat owner searching for protected slip space wouldn't fall in love with this​ location? Glen island Yacht C​lub owes its character to low key and unpretentious members who enjoy the genial spirit, their camaraderie and music, their sailing and "Wooden Boat" crafts. 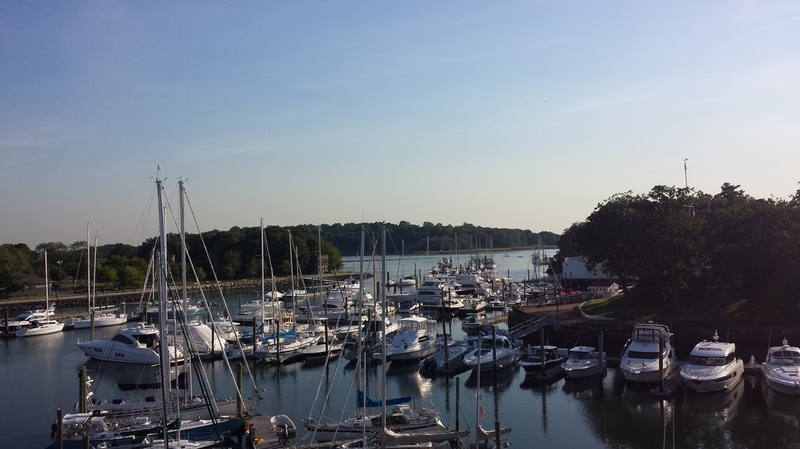 ​Glen Island Yacht C​lub's marina ranks as the second best "hurricane hole" on Western Long Island Sound. If you're looking for hurricane protected docks and a serene setting, you just found the best of both worlds!